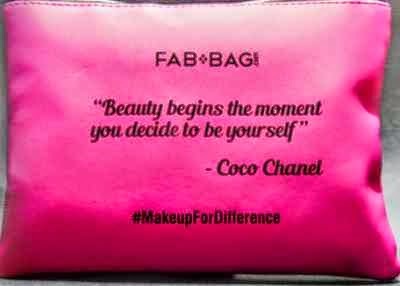 FAB BAG has become one of the most important bags in our girls life since our daily skin care regimen remains incomplete without it. Fab Bag sends you the cute looking bag every month full of amazing makeup & beauty stuff inside. The best part is that they ask you fill up an online questionnaire to know you beauty taste and then their professional team sends you the customized products as per your choice of shades and skin type. Every girl deserves the best makeup box and hat's why this customized bag becomes a perfect Fab Bag for all. Without making you wait anymore let me show you the very pretty, girlish cute looking pouch of this March Fab Bag 2015. Fab Bag March 2015 Review. Before even seeing the products inside I was very pleased with the bright pink color of the pouch with a smooth touch. Its kind of a treat to your eyes when you get see beauty stuff in colorful shades. In fact the design, color of the bag along with the products inside are always a kind of surprise and I totally love such surprises, specially if it's related to makeup and beauty. With this beautiful pink bag, there were 5 beautiful products inside. Take a look at the products in this March bag below. I heard about this Palladio Lipstick but never tried it since it's an international brand and not so easily available in India. Same was the case with Soultree Kajal, heard about it bit never tried. But I got to about Inveda and this Sebastian brand the very first time. Let me give you brief details about these products. This herbal lipstick from Palladio comes in a simple yet elegant packaging in so many different shades. The one I have here is Rosy Plum. 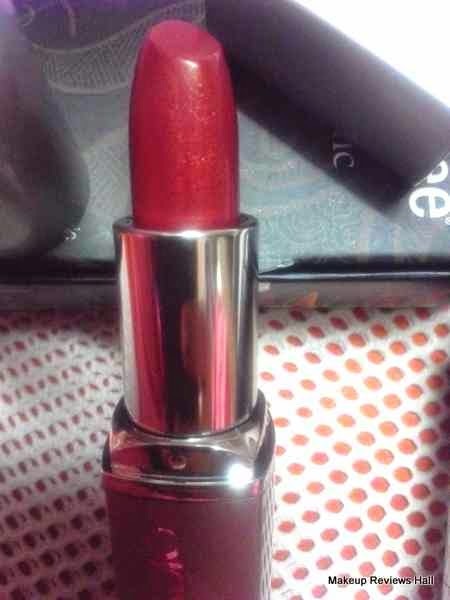 Though I normally prefer peach shade lipsticks with a deep pigmentation or sometimes even red for parties but my Mom was so happy seeing this shade that I gifted this one to her. This is a perfect shade for Indian beauties with wheatish skin. Will update the review along with the swatches soon. 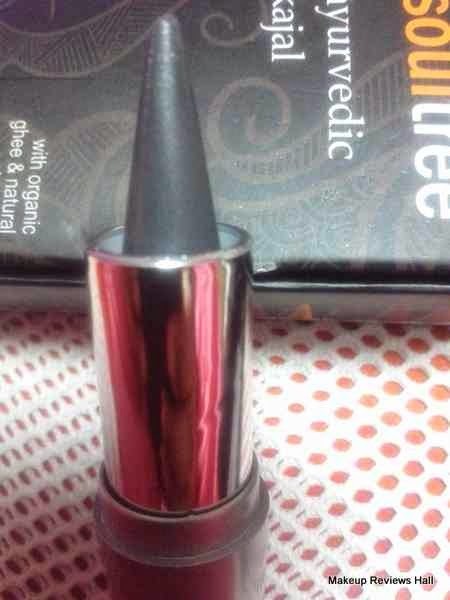 This again is a herbal organic brand and I was thinking of trying it's kohl and fortunately I got this one to try in Grey Glow shade. I haven't used it yet but I think this would be great for a smokey eye look perfect for parties. I would update the detailed review very soon along with the pictures. Inveda BB Cream - Fair. Rs 150/- for 15 ml. I have tried so many BB Creams both international, Indian but never got results as expected so definitely waiting to try this one. Moreover it's a new brand in the skin care range and comes with so many claims at an affordable price so let's wait for the best. Price - Rs 1450/- for 250 ml. I got this hair volume spray in a 50 ml bottle but that too is pretty sufficient for few months with light usage. I was thinking of buying a new hair sorry for the coming summer parties but glad I received in this fab bag. This hair spray is definitely a delight to energize and uplift the coming summers. This bracelet was an added token of love in this pretty pink bag. The bracelet looks beautiful with a cute tiny heart attached to it. Along with love, the bracelet also adds style to your personality.. So by now you would be able to guess how much I am loving this March Fab Bag and the amazing stuff inside. I just can't wait to try these goodies to update you with the reviews. I hope you too have received your bag by now, if no, you will probably get it soon. For those who haven't subscribe to it yet, should definitely go ahead and subscribe because in today's high ended expensive brands world, this comes as a perfect solution for your monthly makeup and beauty needs at a very reasonable price that too customized as per you skin tone and shade. Nice stuff! 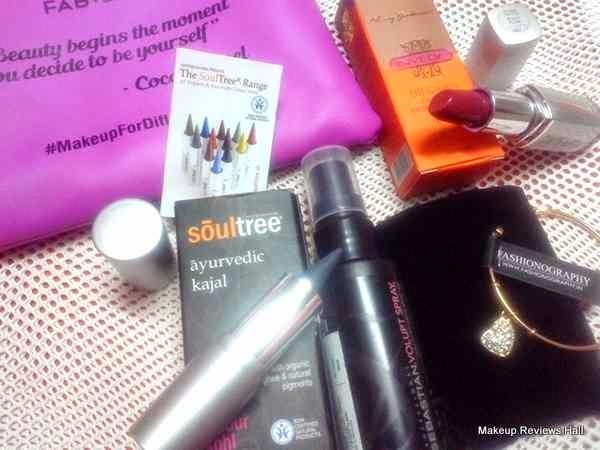 The soul tree kajal looks quite interesting !! Amazing Stuff. I like Sebastian hair products. I received March fab bad with total disappointment. The broken kajal and the palladio lipstick and jewellery was missing in it.